Developed by Analytical Methods Inc (AMI) MSES is a two dimensional code driven with X-Window GUI allowing rapid geometry changes, parametric flow studies and configuration development for multi-element airfoils in subsonic and transonic flow. MSES is a coupled viscous/inviscid Euler method and offers inverse design, forced and natural transition, and direct and interactive boundary layer methods. Grid generation is automatic using a streamline coordinate solution, allowing the grid to adapt to the evolving flow field. 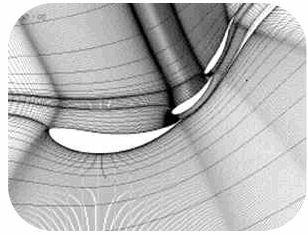 MISES is a related code for airfoils in a transonic cascade.